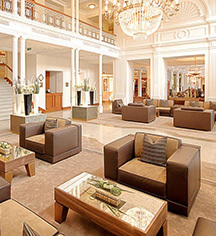 thank you for taking the time to review Grand Hotel des Bains Kempinski. We highly appreciate your feedback and would be delighted to welcome you back in St. Moritz this summer. thank you for choosing Grand Hotel des Bains Kempinski and for taking the time to review our hotel. We appreciate your positive feedback and hope to welcome you back in St. Moritz soon. thank you for taking the time to review our hotel and your highly appreciated feedback. We are delighted to see how much you enjoyed your stay at Grand Hotel des Bains Kempinski, should travel plans lead you back to St. Moritz, we would be more than happy to welcome you back. thank you for sparing your valuable time to share your feedback about our service and hotel facilities. We are delighted to see how much you enjoyed your stay with us and we will share your comments with our team. 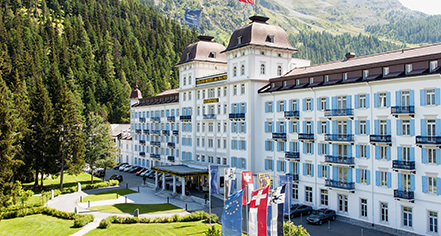 Should travel plans lead you back to St. Moritz, we would be more than happy to welcome you back as at Grand Hotel des Bains Kempinski. Thank you very much for your kind feedback and for your outstanding rating. We are glad to read that you could enjoy your recent stay with us. We are looking forward to welcoming you back - maybe in the upcoming winter season - to our property in St. Moritz.